Unethical and Predatory Business Practices by Management of "Public Storage"
After having to put my belongings in storage unit at "Public Storage" for safe keeping, I found out the storage company itself, "Public Storage" was who I really needed protection from! Unfortunately, And through no real fault of my own, I am currently a homeless artist, trying desperately to turn my situation around. This storage company, "Public Storage", has done nothing but put me in a constant state of prolonged emotional stress with there blatantly predatory, self serving and unethical business practices by their managment! This stems from their non sequitur predatory policies hidden in the small print of their wordy contract, a contract that they unethically claim gives them the right to arbitrarily decide to auction off my a person's personal belongs with literally one days notice! You would think I was over 3 months behind... but no. Just a month and a half late now. They have done this to me twice now! Last time when my storage payment was only 18 days over due! 18 days! And then they actually claimed they sold my belongs for being 18 days over due!! But then told me the they would still give me until the end of the month to pay if I wanted them back! Of course I did! This is just a disgusting and sadistic business practice by Public Storage that only serves to make their customers miserable!!! And that's exactly what they have done and continue to do to me! This is blatantly a predatory business run by unethical people who unethically and wrongly interpret of the small print in their blatantly self serving service contracts. Public Storage goes out of their way to take advantage of their customers who may be struggling to pay their bills. Public Storage has no ethics what so ever! I have found people all over the internet that have experienced the same treatment from Public Storage that I am now enduring myself. 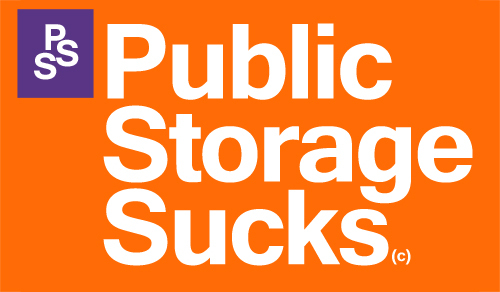 No one should have to go through this torturous experience with an unethical company like Public Storage. And I would warn anyone who needs a storage not to do business with Public Storage.